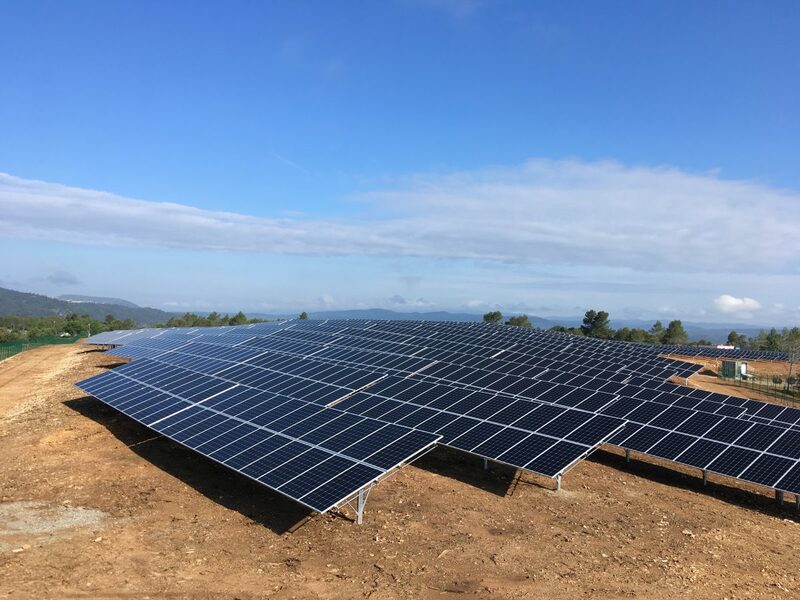 Cap Vert Energie, the France-based subsidiary of the French independent power producer CVE, has just connected to the grid a new ground-based plant installed within the Mégasol platform in the South of France. More than just a photovoltaic site that contributes to the growth of renewables in France, the Mégasol plant was developed as part of an R&D partnership forged by CVE with CEA Tech in 2016 for a four-year period. With this plant, CVE’s work on systems services now enters a real-world testing phase for a two-year period. The Mégasol plant was developed by CVE as part of its R&D program related to the design of smart control tools. Such tools are expected to enable CVE’s production plants to help stabilize the grid by participating in system services (secondary reserve). The facility located at CEA Tech’s Cité des énergies includes a new kind of logic controller, as well as an electrochemical storage battery that enables it to participate in the grid frequency regulation mechanism. Unlike traditional power storage which is used to smooth out or delay the injection of power into the grid, Mégasol’s battery helps to regulate the grid’s frequency in both directions, whereas a traditional photovoltaic plant can only regulate it downward. With its 7700 photovoltaic cells, Mégasol’s plant with a total power of 2.2 megawatts peak (MWp), produces 3500 MWh over the course of a year, equivalent to the power consumed by 2,900 people at home. This replaces the emission of 310 tons of CO2 each year. CVE’s strategic vision is to produce decentralized renewable energy in a direct sales model. In 2016, the Group signed a four-year collaboration agreement with the French Atomic and Alternative Energy Commission (CEA), in order to carry out R&D projects that relate in particular to the incorporation of photovoltaic plants into power grids (providing system services) and to self-supply in the industrial and service sectors. For CVE, R&D and innovation must serve competitiveness and make it possible to build the energy models of tomorrow. The Group has particularly developed a program aimed at optimizing photovoltaic energy penetration in a private network (microgrid), whether connected to the grid or isolated, through innovative algorithms for controlling the production and storage facilities, etc. CVE also develops smart control tools; this program is in the testing phase, with the start of service at the Mégasol ground-based plant and two other sites located in Dordogne and Charente, France.